University Ministry Leaders serve a term of one academic year in their specific position. Each leadership position requires an estimated average of 5 hours of service per week (weekly meetings with Ministry staff, meetings with participants, meeting preparation and research). Additionally, Ministry Leaders must participate in reflections and workshops held each semester for personal growth and development. This includes, but is not limited to September Training, The January Summit, and the April Finale. Finally, the application process includes a personal interview, participation in Discernment Day, and attendance at the Leadership Welcome Mass. First Year Retreat – Plan and lead the retreat for first year students. Immersion Trips – Plan and facilitate a week of direct service rooted in relationship during winter, spring, or summer break. Do the works of mercy, enter a new reality, reflect, build community. Ignatian Family Teach-In – Plan and lead a weekend in Washington, D.C. exploring issues of social justice and advocacy. Christian Life Communities – Lead a weekly small faith-sharing groups. Retreats – Plan and lead weekends away from school to build friendships and reflect on spirituality. Extraordinary Ministers of the Eucharist assist the priest in distributing the Body and Blood of Christ during the 9 p.m. Mass. Students who wish to participate in this ministry should contact University Ministry to schedule a training. Lectors proclaim the first and second readings during the 9 p.m. Mass. Students who wish to participate in this ministry should contact University Ministry to schedule a training. Sacristans set up for the 9:00 p.m. Mass, assist the priest during the Mass and clean up after the Mass. 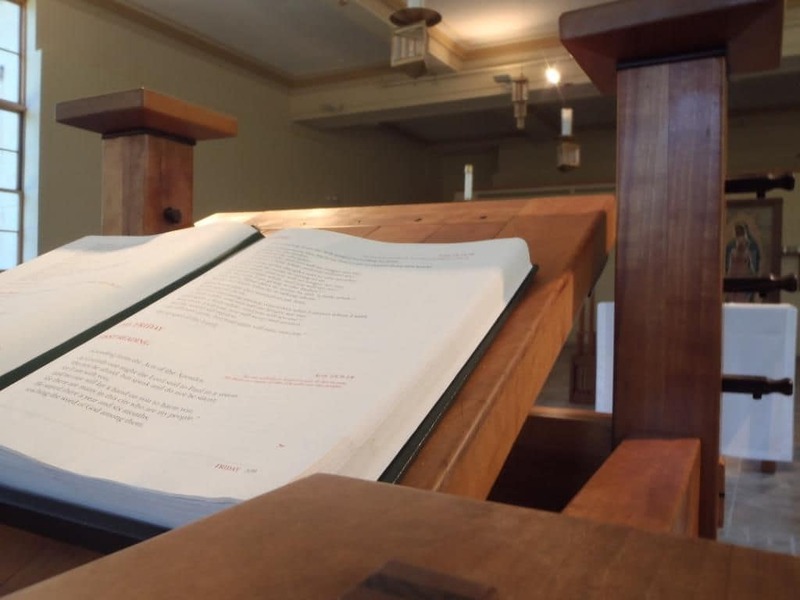 The sacristan is a Ministry Leadership position. Students who wish to participate in this ministry should apply to be a Ministry Leader in March. If interested in serving, please contact University Ministry at ministry@udmercy.edu or 313-993-1560. 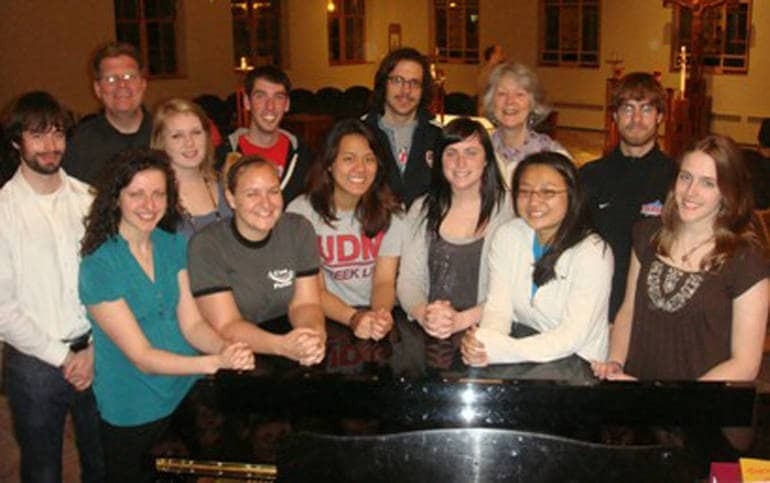 Music Ministry meets for rehearsal every Sunday at 8 p.m. before the weekly 9 p.m. student Mass. Director Dan Greig welcomes singers and instrumentalists of all kinds. Music reading skills are helpful but NOT required. Join us at 8:00 p.m. every Sunday during the semester! To participate in Music Ministry, see Dan after Mass on Sunday nights, or contact the University Ministry office at ministry@udmercy.edu or 313-993-1560.